New York’s lawsuit system performs just in the top half of state legal systems. Business litigators surveyed in 2015 ranked New York 21st in the nation at producing fair and reasonable justice. As New York’s legal system’s competitiveness ranking continues to slip, New York’s position as a central commerce hub could be at risk. 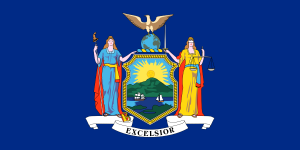 New York is in need of significant lawsuit reform, particularly when it comes to product liability litigation and the oversight of contracts between the government and private attorneys. NERA Economic Consulting completed a study quantifying the economic impact of passing a bevy of lawsuit reforms. According to the report, passage of a complete package of lawsuit reforms could increase employment in New York between 0.84 and 2.27%.